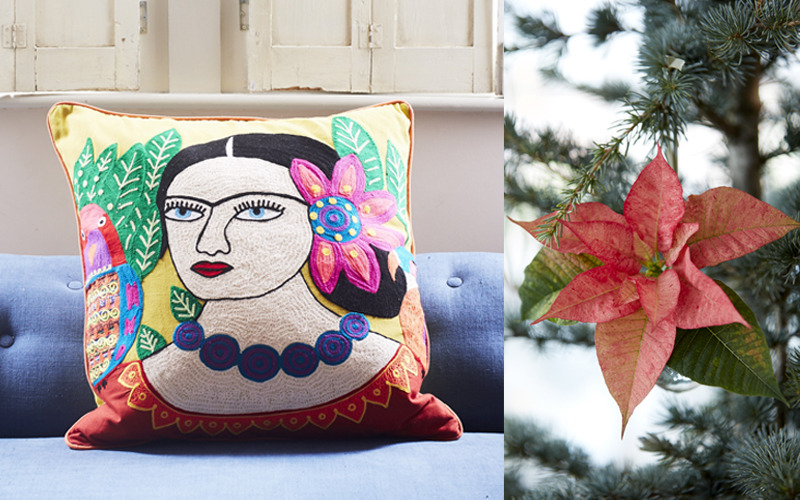 To celebrate National Poinsettia Day on 12 December, we have a beautiful poinsettia plant to give away to five lucky winners, along with a vibrantly embroidered Mexicana Large Yellow Cushion from Graham and Green, making each prize worth £100. Embraced by a new generation of houseplant enthusiasts, not only do poinsettias take centre stage as the most popular houseplant in the UK over the Christmas season, but their range of sizes and colours from warm fiery red, pinks, oranges and cool winter whites, make them suitable for all interior Christmas styles, whether traditional or modern. Poinsettias also make the perfect seasonal gift, ideal for when visiting friends and family. Poinsettias are very easy to care for – buy from a garden centre or a florist to ensure premium quality and keep in a bright, warm spot, away from draughts that come from being too close to doors, windows and fireplaces. Be careful not to over water and don’t let your plant sit in a pool of water. Water only when the compost is starting to change colour and become lighter.